Slots Magic Review - Amazing Welcome Bonus and Pay by Phone Bill! Sometimes at Phone Bill Casino we bring you a site that although they don’t offer the incredible pay by phone bill banking method directly, they do offer amazing bonuses and games. But never fear because we have an alternative route, so you can access Boku mobile banking. Slots Magic is one of those sites, with an innovative eye catching theme, that offers all the high quality slots a gamer needs. So if its live casino, table games, jackpot games or featured slots such as Staxx and Rainbow Riches, then Slots Magic has you covered. Games can be found halfway down the main page and each section has their own tab, with a specific page for popular choices. As you would expect Slots Magic offers the ability to game on desktop, mobile and tablet devices, meaning that you can play great slots on your mobile phone when and wherever you like. Imagine a jackpot win on your way to work, standing in a queue or when you’re walking the dog. 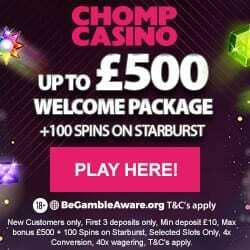 Finally, get 50% up to €125 and 100 spins on Gonzo’s Quest. When you leave your newbie status behind, you’ll be pleased to hear that Slots magic offer regular promotions under their daily picks link. With games such as Happy Hour, Auto Cash and Real Kick, you can earn spins, reload bonuses, exclusive promotions and play in special competitions. It’s not just the promotions that give you those extra perks, because merely for registering with Slots Magic you’ll join their VIP Scheme. There are 6 levels to the scheme which you work through simply by playing and collecting points. 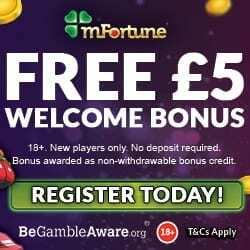 The number of points depends on the game and amount wagered, but to give you an example if you wager £10 on slots, then you’ll receive 1 point. As you move through the levels you’ll earn bigger and better bonuses which include, faster payouts, special monthly bonuses and higher deposit limits; there’s even a dedicated VIP Manger for the higher level VIP’s. If you discover any issues or generally have a query then check out the support section, where you can contact Slots Magic via email, telephone or live chat; there’s also an extensive FAQ section for basic questions. Slots Magic accept a number of currencies which include GBP, US/Canadian and Australian Dollars. They also use a number of banking methods which include Credit and Debit Cards, Skrill, Neteller, Paysafe Card and many more. 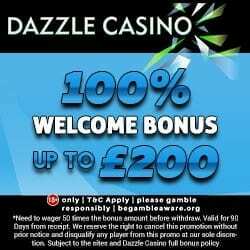 To claim one of the three amazing welcome bonuses plus the endless regular offers, head over to Slots Magic and enjoy!